Why is “no” such a difficult thing to say? We’re great at it when we’re two. “No” seems to be our favorite word at that age (at least it was for my kids). But somewhere along the line we forget that ability; we forget the word. Someone asks us to do something that we long to say “no” to, and yet, perhaps out of guilt or fear or shame, or perhaps out of more positive motivations like compassion and caring, we find ourselves saying “yes.” Agreeing to what we knew we didn’t want to do. So many of us forget how to say “no,” or think we can’t, or know we shouldn’t, or know we should…but still don’t. 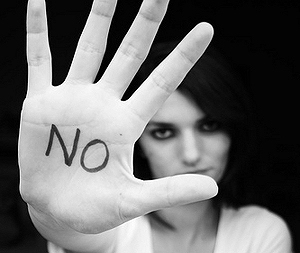 “No” is useful because it opens us up to other possibilities. To the opportunity for “yes.” Someone recently sent me this Forbes blog post by Travis Bradberry, The Art of Saying No. It is worth a read. “Finding your yes” is, in fact, Travis Bradberry’s first strategy for saying “no” – to know what you’re saying “yes” to when you say “no.” Because saying “no” helps you focus on the important things, and finding your “yes” helps you know which important thing you’re choosing by saying “no.” For example, if saying “no” to a colleagues request means you’re saying “yes” to the important project you’re completing for the CEO, or if saying “no” to a volunteer effort at your kid’s school means you’re saying “yes” to family time (or your exercise schedule), the “no” might be easier to share. You have to prioritize – we can’t be all things to all people and every project can’t have equal priority. There simply isn’t enough time for everything and we have to choose. You won’t be your best – honestly, the last time you did something that you longed to say “no” to, how good a job did you do? Do more of the projects and tasks that you’re drawn to and be your best. You are taking an opportunity from someone else – there is often someone who would love the opportunity that you dread, who would excel at a project that bores you. Give them the chance to shine. We learned to say “no” at a very young age. We need to learn to say it again. Not always, not every time, not to everyone – but to use it in a way that builds our leadership, our Thoughtfulness, and our success. For support in saying no, contact Lisa at lkohn@chatsworthconsulting.com.